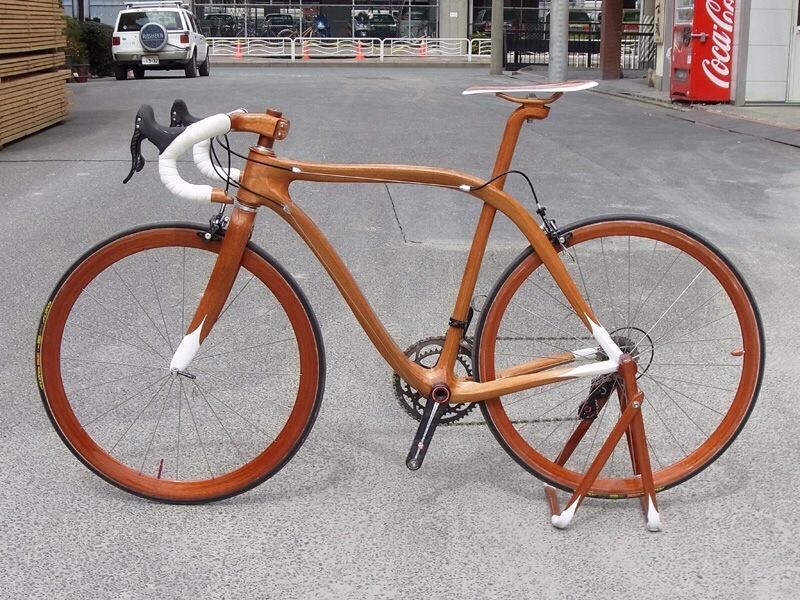 Who needs carbon when you have mahogany? 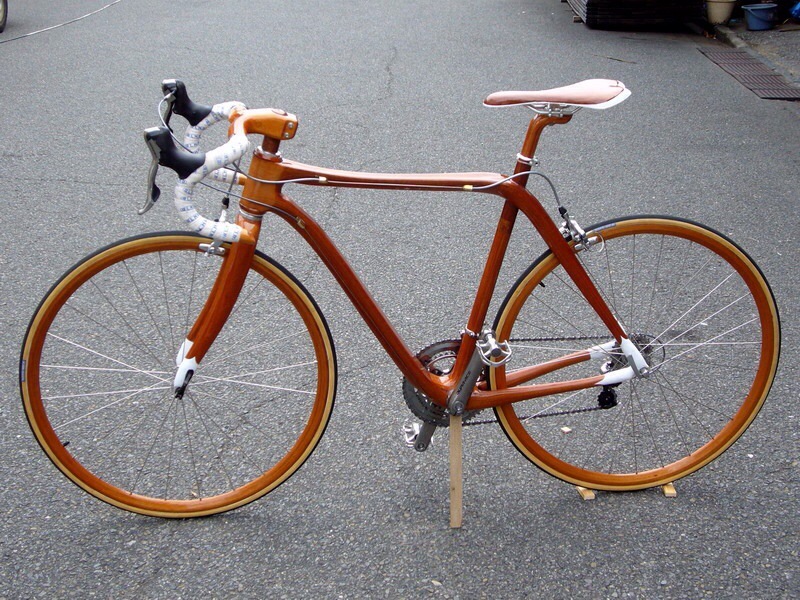 A couple of weeks ago Dave sent me a link to some of the most beautiful bicycles you’re ever likely to see. 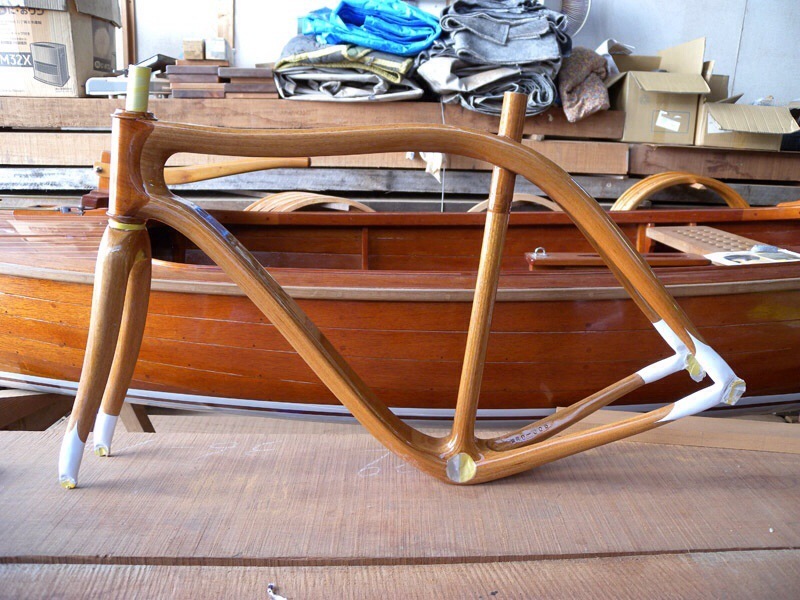 Every one of them – and there are many – is hand-made by Japenese wooden ship builder, SUESHIRO SANO. 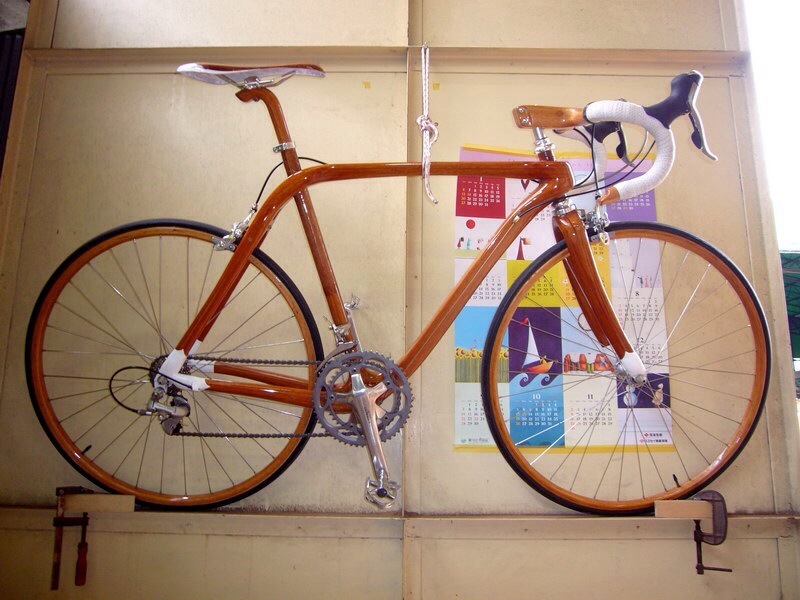 The guy’s been crafting timber since he was 13 years old. Talk about a talent. As Dave says, “No idea how much they cost but they are beautiful machines – would love to turn up to SOP on Tuesday morning on one of these babies!” Me too Dave. Me too. Not sure how well it would climb, but that is beautiful! Agreed. Cruisy coffee rides only.